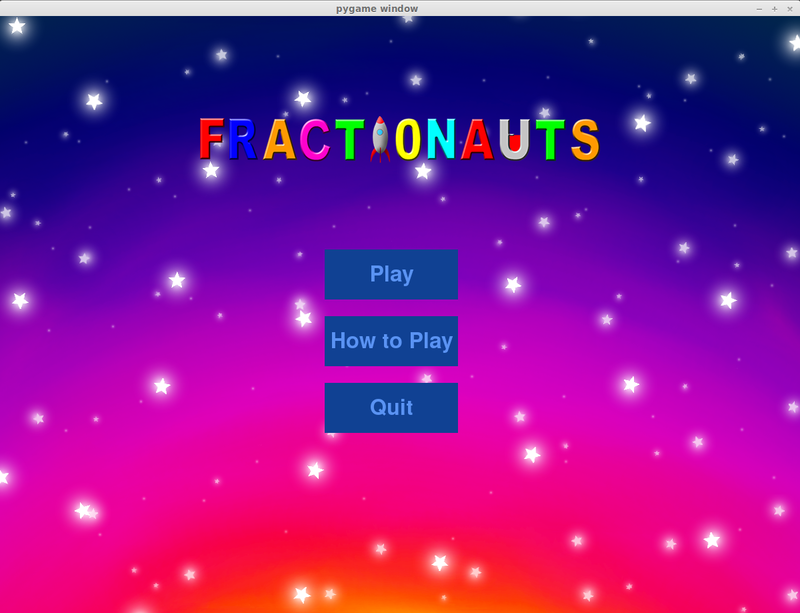 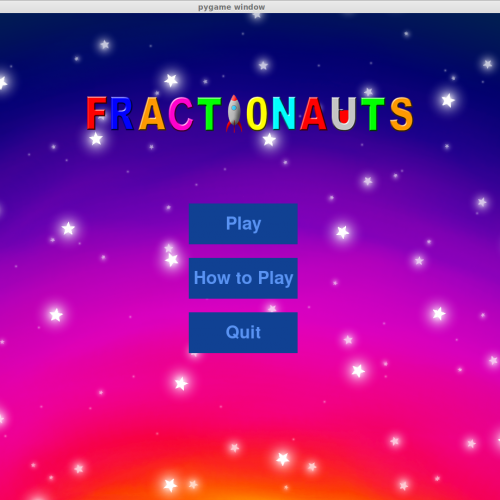 Fractionauts is a game created for educational game intended to teach children how to add fractions. 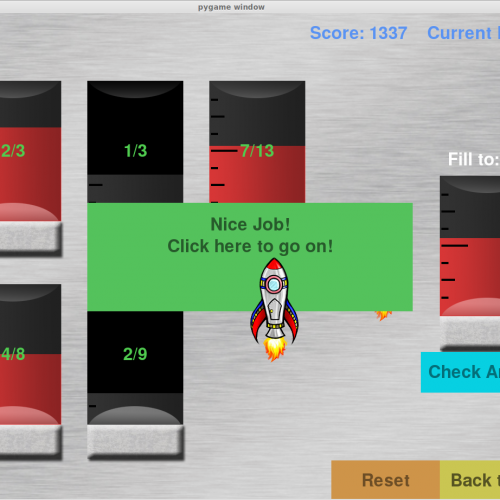 The game is released under the GPLv3 open-source license and created in Python using the PyGame library. 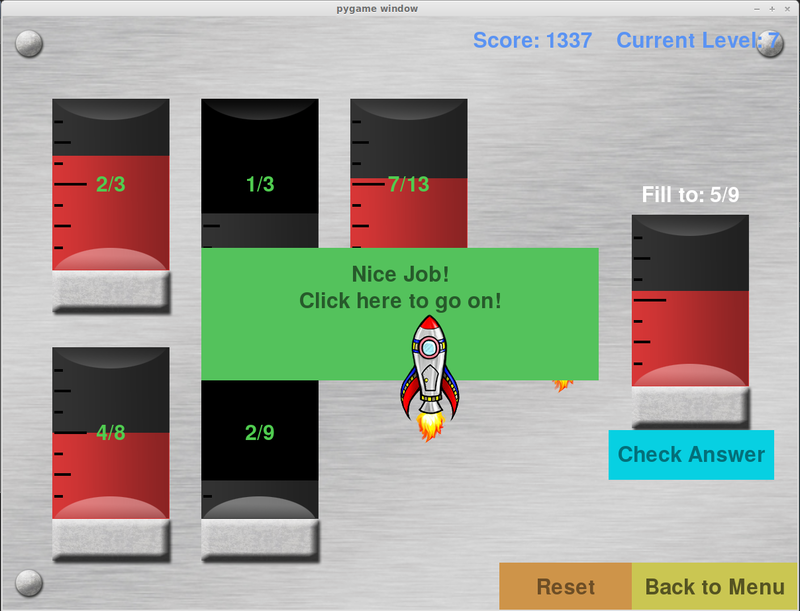 On the technical side, the game loads levels (which are defined with JSON files). 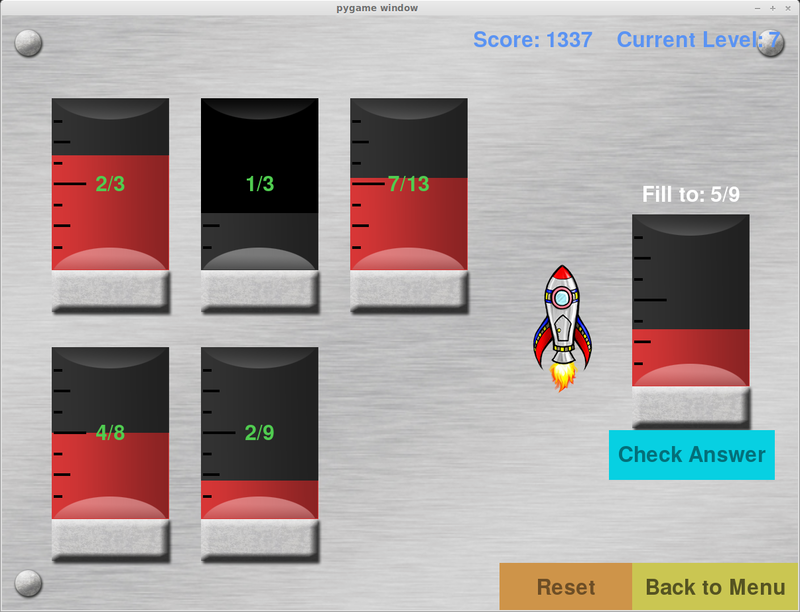 Event listening and drawing are handled with a standard game loop/state machine system. 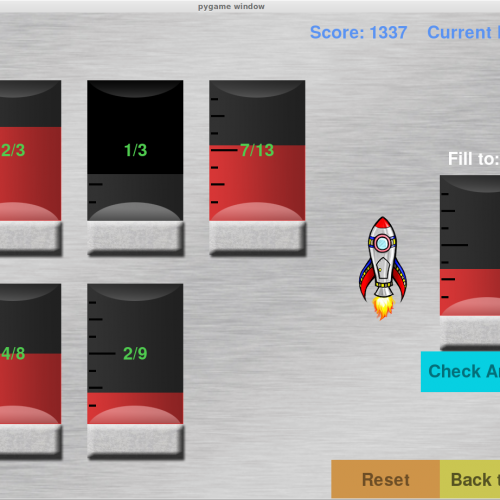 On the user side, the objective is to mix rocket fuels of varying amounts until a desired quantity is achieved, allowing the rocket to advance.